If you have worked hard all your life and now you are unable to work anymore, it’s the government’s job to take care of you because we live in an advanced society where each human being is a valuable asset. This is why the social security disability law exists. Unfortunately, 70% of the SSD claims are denied after the initial application, and this is why the help of a social security disability attorney in Annapolis is not optional. You need somebody experienced in your corner who understands the law and what you need to do to get your SSD claim approved. Firstly, let us make a distinction here. The SSD program is meant only for people who have enough work credits. If you have been born with a disability that hasn’t allowed you to work, we should pursue an SSI claim instead (Supplemental Security Income). As an employee, you can earn up to four work credits per year, and you are eligible for SSD if you have a certain number of work credits, meaning that you have worked for a certain amount of time in your life. The number of work credits required to be eligible for SSD depends on your age, specifically, the age you were when you became disabled. Besides the work criteria, an SSD claim in Annapolis must also contain the medical factor. The social security disability law in Maryland states that, in order to be considered for SSD, you need to have a medical condition that has lasted for at least 12 months or is terminal and is makes you unable to do any job. For example, if you are an opera singer, and have suffered damage to the vocal chords, you may not be eligible, medically speaking, for an SSD, because you can still perform other jobs. There are many disability lawyers in Maryland, but only some of them understand the process. An attorney for social security in MD that promises you to win an appeal of an SSD decision from the first is a fraud. Usually, if your claim has been denied, the answer will be the same for the Reconsideration and ALJ Hearing that are part of your appeal. With the right documentation and evidence, this will change when you are in front of an administrative law judge. If your SSD claim has been denied, don’t despair. Contact us and we will assess the situation and make a strong appeal. If you haven’t filed your claim yet, it is even better because it means you have the chance of doing it right the first time, if you enlist our help. 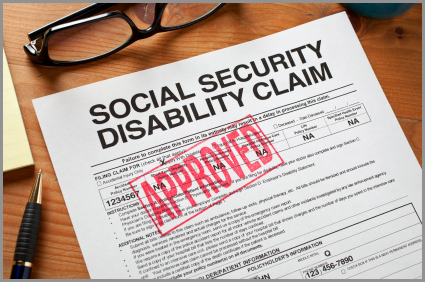 With over 30 years of experience and a proven track record, we are the social security disability attorneys in Annapolis you should be working with. Besides an in-depth understanding of the law and a unique approach to each case, we also offer our free expertise when you call us. Tell us the facts and let us tell you how we can win this together. Get in touch with one of our excellent social security disability lawyers at (443) 569-3950 for a free, no-obligation consultation.